Published: Oct. 19, 2011 at 10:59 a.m.
Byes: 49ers, Bengals, Bills, Eagles, Giants, Patriots. Tim Tebow at Dolphins: It's Tebow time, not just in Denver but also in the world of fantasy football. The Florida product returns to his collegiate state to face the Dolphins, who have allowed the second-most fantasy points to quarterbacks. Tebow has averaged better than 11 fantasy points per half in his last four extended stints, which is all the more reason to start him. Tony Romo vs. Rams: Romo might be just 14th in fantasy points at his position, but I still consider him a valuable option in all leagues -- especially when he has a favorable matchup. This week he goes up against the Rams, who have surrendered the sixth-most fantasy points to QBs. That's good news for Romo, who should post a nice stat line. Ben Roethlisberger at Cardinals: Roethlisberger hasn't been a reliable fantasy quarterback this season, but he's still a viable option when he faces a weak defense. That's the case here, as Arizona has allowed an average of more than 18 fantasy points per game to QBs. 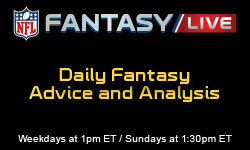 Josh Freeman vs. Bears (London): Speaking of unreliable fantasy quarterbacks, Freeman has been somewhat of a conundrum. He is coming off a terrific performance against the Saints, though, and this week's matchup against the Bears is a favorable one. Chicago's defense has allowed an average of nearly 19 fantasy points to signal-callers. Matt Cassel at Raiders: If you're in a deeper league and need a spot starter, Cassel is worth a look off the waiver wire. The veteran had his best stat line of the year in Week 5, throwing for 257 yards and four touchdowns against the Colts. Now he goes up against the Raiders, who have surrendered the fifth-most fantasy points to QBs. Sleeper alert -- Colt McCoy vs. Seahawks: McCoy has averaged a respectable 15.3 fantasy points, and a matchup against the Seahawks makes him a legitimate starting option. Seattle has given up an average of close to 17 fantasy points per game to QBs, so don't overlook McCoy in leagues with 12-plus teams. Matt Schaub at Titans: It's tough to bench a quarterback like Schaub during the bye weeks, but he's been far less impressive without Andre Johnson. Furthermore, he's dealing with a chest bruise and a tough matchup against the Titans. Fresh off a bye, Tennessee's defense should be ready to roll -- the unit has allowed an average of under 14 fantasy points to opposing quarterbacks. Matt Ryan at Lions: When you look at a Falcons-Lions matchup on paper, there's a definite chance for a shootout. But looking at the numbers, Ryan is not a favorable starter from a fantasy perspective. The Lions have allowed the third-fewest fantasy points to signal-callers, so Ryan is no guarantee for a monster day. Start him with caution. Kevin Kolb vs. Steelers: With all of the talk about the Steelers getting old on defense, this unit has still been one of the toughest on quarterbacks -- giving up the fourth-lowest average in fantasy points. That doesn't bode very well for Kolb, who has averaged 4.93 fantasy points on NFL.com over his last two starts. Mark Sanchez vs. Chargers: Sanchez is coming off a solid 18-point performance in a win over the Dolphins, but he's not in a position to succeed in Week 7. The Chargers have been tough against opposing quarterbacks, allowing an average of just over 13 fantasy points per game to the position. So unless you're desperate for a signal-caller, it's better to leave Sanchez on the sidelines. Matt Hasselbeck at Texans: Hasselbeck, who ranks 15th in fantasy points among quarterbacks, has been a pleasant surprise for owners who play the matchups. Unfortunately, the veteran could struggle against the Texans -- Houston's defense has allowed the eighth-fewest fantasy points to QBs. Owners beware -- Philip Rivers at Jets: First off, I wouldn't bench Rivers unless I had another viable option. If you do have that sort of luxury, it might be a good idea to at least consider the move. Rivers has struggled, throwing six touchdowns and seven interceptions, and this week's matchup against the Jets isn't at all attractive. Ryan Mathews at Jets: Mathews is in the midst of a breakout season, posting 674 yards from scrimmage and three touchdowns in five games. His rise to fantasy stardom should continue against the Jets, who have suddenly become a defense to target in running back matchups. In fact, New York has given up an average of 22-plus fantasy points per game to runners -- that's the sixth-most in the NFL. Rashard Mendenhall at Cardinals: If you were worried about Mendenhall's slow start to the season, he calmed your nerves a bit last week with a monster performance against the Jaguars. Next on the schedule is the Cardinals, who have allowed an average of 19-plus fantasy points per game to backs. That makes Mendenhall a solid option in all formats. Mark Ingram vs. Colts: Ingram hasn't become a fantasy star in his rookie season, but he has found the end zone in two straight games. And while Darren Sproles is the best Saints runner to use, Ingram is also a nice flex option against the Colts. Their defense has surrendered the seventh-most fantasy points to runners. Jackie Battle at Raiders: Battle is coming off a huge performance against the Colts, rushing for 119 yards the week before Kansas City's bye. Now he goes up against the Raiders, who have given up the fifth-most fantasy points to backs. While Thomas Jones is also going to see his share of the work, Battle is worth a look as a potential flex starter. Ryan Torain at Panthers: It's impossible to predict who will see the bulk of the carries for coach Mike Shanahan week to week -- we learned that against the Eagles, didn't we? But I'd still give Torain a shot as a flex starter against the Panthers. No team has allowed more fantasy points to running backs, so Torain could be in play if Shanahan doesn't fool us all again. Sleeper alert -- DeMarco Murray vs. Rams: The Cowboys have lost Felix Jones for several weeks due to an injured ankle, so Murray is next in line. Tashard Choice will also see his share of the work, but Murray has more upside and saw more touches once Jones went down. The Rams are awful against the run, so the rookie is worth a look as a potential flex starter. Steven Jackson at Cowboys: Chances are most fantasy owners don't have enough to bench Jackson, especially during the byes. Just keep in mind that he's not even in the top 30 in fantasy points among backs. This week, he faces a Dallas defense that has surrendered the third-fewest fantasy points to opposing runners. That makes Jackson a bit of a risky option. Peyton Hillis vs. Seahawks: Whether it's Hillis (hamstring) or Montario Hardesty in the Browns' backfield this week, neither has a favorable matchup. Despite all of the jokes about the Seahawks, their defense has actually allowed the ninth-fewest fantasy points to running backs. That makes Hillis or Hardesty little more than flex starters in most formats. Shonn Greene vs. Chargers: Greene might be the 21st-ranked running back based on fantasy points, but that's more a reflection on the state of the position than his emergence. Despite the fact that he's seeing a ton of touches, Greene is still averaging a mere 8.4 fantasy points. I'd bench him against the Chargers, who have been tough on opposing runners. DeAngelo Williams vs. Redskins: Williams scored an impressive 17.50 fantasy points against the Saints in Week 5, but 12.90 of those came on one run -- a 69-yard touchdown scamper. He came crashing back to earth last week, finishing with a mere 4.6 points. The Redskins have a tough run defense, which makes Williams a risk as anything more than a deep-league flex starter. Delone Carter at Saints: Carter and Donald Brown are sharing the carries in Indianapolis -- that's bad news for both players, as it will be tough to gauge who sees more work. This week Carter and Brown face the Saints, who have allowed the sixth-fewest fantasy points to runners. That alone is enough to avoid this backfield committee -- so is Joseph Addai's potential return. Owners beware -- Maurice Jones-Drew vs. Ravens (Mon. ): If you have "Pocket Hercules," chances are you have to roll with him through good matchups and bad ones. Unfortunately, the latter applies this week when Jones-Drew faces a Ravens defense that has allowed the second-fewest fantasy points to backs. That makes MJD a risk. Dez Bryant vs. Rams: For the second straight week, Bryant has a terrific matchup -- this time he goes up against a Rams defense that has allowed the most fantasy points to receivers. That makes Bryant a tremendous No. 2 or 3 fantasy option, as the Cowboys will throw the ball a ton in an effort to break their two-game losing streak. Marques Colston vs. Colts: For the first time all season, Colston had a big game (118 yards, TD) in last week's loss to the Buccaneers. He has another solid matchup, as he'll face a Colts defense that has surrendered the sixth-most fantasy points to receivers. That makes both Colston and Lance Moore nice options in most leagues. Pierre Garcon at Saints: Garcon is seventh among receivers in fantasy points, which is amazing after he did nothing in the first two weeks of the season. Regardless, he's become the top target in the offense for Curtis Painter. Couple that with a matchup against the Saints, who have allowed the ninth-most fantasy points to wideouts, and it's clear that Garcon should be active. Eric Decker at Dolphins: The trade that sent Brandon Lloyd to St. Louis made Decker the new No. 1 option in Denver, and he'll be a nice No. 3 option against the Dolphins. Miami has allowed an average of 25.16 fantasy points per game to wideouts, so it wouldn't be a shock to see Decker have a nice day even with Tebow at QB. Darrius Heyward-Bey vs. Chiefs: Over the last three weeks, Heyward-Bey has averaged a very respectable 11.8 fantasy points on NFL.com. He makes for a nice No. 3 option or flex pick against the Chiefs, who have given up the fourth-most fantasy points to receivers. Heyward-Bey is still a free agent in over 50 percent of NFL.com leagues. Sleeper alert -- Greg Little vs. Seahawks: A preseason sleeper on NFL.com, Little has emerged as the top wide receiver in Cleveland. He saw an impressive 12 targets last week, so you know coach Pat Shurmur wants to get him involved moving forward. Little, still a free agent in a ton of NFL.com leagues, is well worth a look if you need a wideout. Vincent Jackson at Jets: Jackson is tough to bench, so consider this a warning. Facing an elite cornerback like Darrelle Revis while dealing with a bum hamstring is not the most attractive scenario. In his last game, Jackson was all but shut down by Broncos CB Champ Bailey -- the same could happen against Revis and the Jets' pass defense. Santana Moss at Panthers: Moss, who was in the sit 'em portion of this column last week and finished with a meager 3.80 fantasy points, has another tough matchup. This time, the veteran will go up against a Panthers defense that's allowed the fifth-fewest fantasy points to receivers. If you have depth at wideout, keep Moss on the pine. Percy Harvin vs. Packers: Harvin ranks a disappointing 38th in fantasy points among wide receivers, and he'd be even lower if not for his 158 rushing yards. While he is coming off a seven-catch game, Harvin still put up just 7.8 fantasy points in standard leagues. And with Christian Ponder under center, Harvin will come with even more risk in Week 7. Mike Thomas vs. Ravens (Mon. ): Thomas has been one of the most targeted wide receivers in the league, ranking tied for fifth. Unfortunately, his targets haven't turned into fantasy points -- he's an unimpressive 44th among wide receivers on NFL.com. Keep him on the sidelines against the Ravens. Mike Williams vs. Bears (London): As we predicted in the preseason, Williams is in the middle of a terrible sophomore slump. He's an awful 64th in fantasy points among wideouts and is currently on pace to finish the season with just 645 yards. The Bears have allowed only three touchdown receptions to wideouts this season, so Williams' chances of improving are pretty slim. Owners beware -- Santonio Holmes vs. Chargers: Holmes is getting back into the good graces of fantasy owners, scoring a touchdown and putting up double-digit fantasy points in consecutive weeks. He's still subject to the matchups, however, and this week's game against the Chargers is a tough one -- the Bolts have allowed the third-fewest fantasy points to receivers. 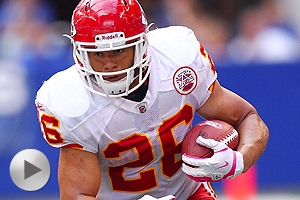 Tony Gonzalez at Lions: Did Gonzalez find the fountain of youth or what? After a mediocre season by his standards in 2010, the future Hall of Famer is third in fantasy points at his position. His rising stock won't slowdown against the Lions, who have allowed an average of close to 10 fantasy points to tight ends. Fred Davis at Panthers: Davis led the Redskins in receptions and receiving yards last week, and will see more targets moving forward with Chris Cooley out due to an injured finger. Though the Panthers haven't been overly vulnerable to tight ends, Davis is still a great option. Dallas Clark at Saints: One of the biggest disappointments in fantasy football, Clark is ranked just 18th in points at his position in the absence of Peyton Manning. However, Clark's still worth a look if you need a tight end this week against the Saints -- their defense has allowed the seventh-most fantasy points to the position, including four touchdowns. Sleeper alert -- Ed Dickson at Jaguars (Mon. ): There are a number of good tight ends on byes this week, so countless fantasy leaguers will need a one-and-done option to fill the void. Enter Dickson, who faces a nice matchup against the Jaguars. Jacksonville has allowed an average of close to 11 fantasy points to tight ends. Dustin Keller vs. Chargers: Keller is doing it to us all over again. Much like 2010, he had a hot start to the season only to cool down after a few weeks. Over the last three games, he has scored a combined seven fantasy points on NFL.com. Keller scored 30.9 in his first three starts. So despite a favorable matchup against the Bolts, he's a risk. Kellen Winslow vs. Bears (London): Much like Keller, it's becoming more and more difficult to trust Winslow. Despite what is a nice matchup against the Bears, it's hard to promote Winslow as anything more than a low-end No. 1 option. Outside of PPR leagues, he's averaged a very weak 3.67 fantasy points over his last four games. Jared Cook vs. Texans: Cook is clearly on the fantasy radar heading into Week 7, but he's still not an attractive option based on a difficult matchup against the Texans. In their first six games, Houston has given up the third-fewest fantasy points to tight ends. So despite the fact that he's seeing more targets, Cook could struggle to produce. Marcedes Lewis vs. Ravens (Mon. ): Remember when Lewis was a solid starting option last year? Well, that was then and this is now. Even in a week with several prominent tight ends on a bye, you still can't lean on Lewis even as a one-week option. The Ravens have allowed the fewest fantasy points to tight ends. Owners beware -- Brandon Pettigrew vs. Falcons: Pettigrew has been on fire in recent weeks, catching 18 passes and scoring two touchdowns over his last three games. Numbers like that make him tough to bench, but he does have a tough matchup against the Falcons -- their defense has allowed just one touchdown and an average of 6.63 fantasy points to tight ends. Mason Crosby at Vikings: One of the better kickers in fantasy football, Crosby has a chance to put up some big numbers in Minnesota. The Vikings have allowed the second-most fantasy points to kickers, giving up more than 10 points per game. In a game that should see the Packers score often, Crosby is a very nice option. Jason Hanson vs. Falcons: Detroit's offense has turned into a juggernaut this season with a healthy Matthew Stafford under center. That's been great for Hanson's value. He's a solid No. 1 option against the Falcons, who have allowed an average of close to nine fantasy points to kickers. Nick Novak at Jets: Novak has been hot of late, scoring a combined 41 fantasy points in his last three games. That includes a monster performance in Week 5, when he recorded 19 points in a win over the Broncos. This week he faces the Jets, who have allowed an average of close to nine fantasy points to kickers. Sleeper alert -- Dan Carpenter vs. Broncos: The Dolphins are struggling to move the football, but Carpenter still has some fantasy value when the matchup is favorable. That's the case here, as he faces a Broncos defense that has surrendered more fantasy points to kickers than any other team. Consider Carpenter as a potential one-week replacement. Nick Folk vs. Chargers: Folk has struggled to put up fantasy points, scoring a mere 20 in his last four games combined. His fortunes aren't likely to change here, as he goes up against a Chargers defense that is tied for ninth in allowing the fewest fantasy points to kickers. Look elsewhere for a kicker if at all possible. Ryan Longwell vs. Packers: Longwell has been a useful matchup-based option this season, but he's still nowhere near elite status. This week he faces his former team, the Packers, who have given up the third-fewest fantasy points to kickers. That's bad news for Longwell, who needs to be on the fantasy sidelines -- or the waiver wire. Josh Scobee vs. Ravens: If there was ever a poster child for unreliable fantasy kickers, Scobee would be the man. He's been known to put up huge numbers one week then disappear the next three games. I'd keep him on the sidelines in Week 7 considering the Ravens have allowed the fewest fantasy points to kickers. Owners beware -- Neil Rackers at Titans: Rackers has re-emerged as one of the better kickers in fantasy land, but don't be shocked if he struggles against the Titans. In two games against them last season, Rackers averaged a mediocre 6.5 fantasy points. Tennessee has also allowed just 7.2 fantasy points per game to kickers. Steelers defense at Cardinals: Two weeks ago, we were ready to bury this unit in fantasy land. But while Pittsburgh is still just 19th in fantasy points, you have to like them this week against the Cardinals. Defenses facing Arizona have scored the eighth-most fantasy points this season. Cowboys defense vs. Rams: The unit has played well for the most part this season, and a favorable matchup against the Rams makes the Cowboys a nice fantasy option. Opposing defenses facing St. Louis have scored an average of close to 15 fantasy points, and the potential for Sam Bradford to miss the game makes the 'Boys that much more attractive. Saints defense vs. Colts: The Colts used to be a team to avoid in defensive matchups with Manning, but units facing them this season have averaged the seventh-most fantasy points. That's great news for the Saints, who will be fired up to play in front of their home crowd Sunday night. They're available in more than 30 percent of NFL.com leagues. Sleeper alert -- Broncos defense at Dolphins: The Broncos are fresh off a bye, while the Dolphins will have a short week after taking a beating Monday night. And with Matt Moore under center and a questionable offensive line in front of him, even a mediocre defensive team like the Broncos can put up a plethora of fantasy points. Texans defense at Titans: In their first game of the season without LB Mario Williams, the Texans scored a mere five fantasy points in a loss to the Ravens. What's more, this unit has scored five of fewer points in three of its last four games. That doesn't bode well against the Titans -- defenses facing them are averaging just 4.40 fantasy points. Buccaneers vs. Bears (London): The Buccaneers have been a borderline No. 1 fantasy defense in some deeper leagues, but a matchup against the Bears across the pond isn't favorable. Outside of games with windy, wet conditions, teams have been able to score points on the field at Wembley Stadium. What's more, defenses facing the Bears have averaged just 6.83 fantasy points. Falcons defense at Lions: Despite the addition of DE Ray Edwards to what was supposed to be an improved defense, the Falcons have still been very unreliable from a fantasy perspective. In fact, Atlanta needs to be benched against the Lions -- defensive units facing Stafford and Co. have averaged the fourth-fewest fantasy points. Owners beware -- Vikings defense vs. Packers: Remember the days when the Vikings were an elite fantasy defense? Well, those days are over -- and you definitely want nothing to do with this unit when facing a premier offense. That's the scenario here, as Aaron Rodgers and the Packers come to town. It's a good idea to look elsewhere for a starting defense.